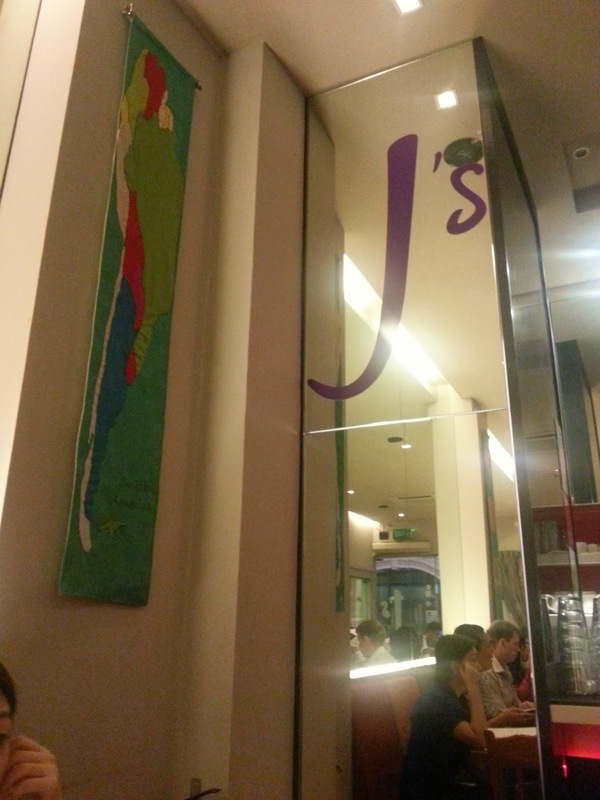 Just recently, during yet another team's dinner with D, YN and A, we very last minute headed down to J's Restaurant (discussion was all on Straits Cafe vs Badoque) for a pre-planned 'impromptu' dinner. I wanted to take a picture of the restaurant, but it was full house! Didn't want to snap pictures of innocent diners, so that's all I have of the restaurant interior. The restaurant is not exactly very small, yet not exactly very spacious so reservation in advance is really recommended. With a strong Latin-American influence, there's also an addition of a more refined modern European cuisine. 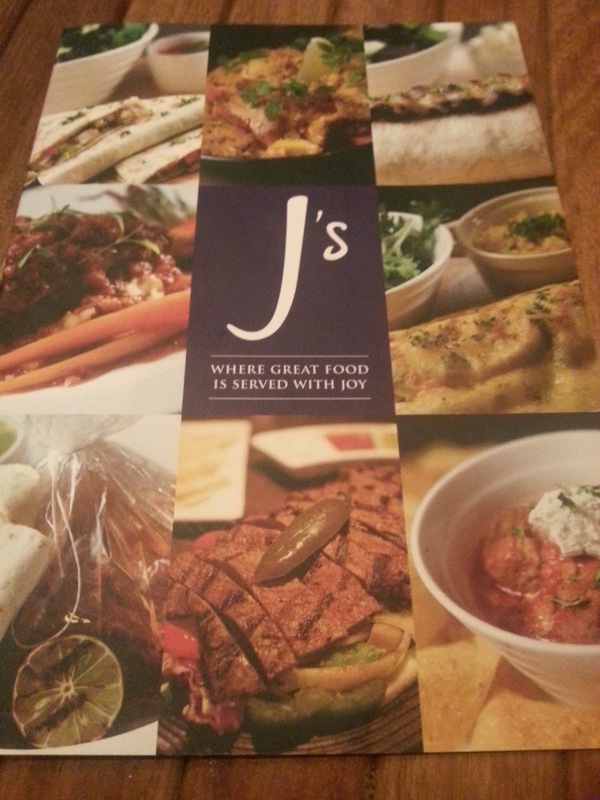 J's menu not only caters for Vegetarians and also removed pork/lard and alcohol for Muslims. A great choice for gatherings with individuals of different dietary requirement! And now, let's get on with the food, shall we? Breaded jalapeno peppers stuffed with mozzarella, fried till golden brown. Served with salsa sauce and guacamole sauce. I was hoping that I can get some spicy kick from this appetizer, but it was more of a sour shock instead. A little way too vinegary sour for my liking, though generously stuffed with cheese that was melted till molten in the process of frying till crispy golden brown. I didn't eat with much sauce, because out of the two I'll prefer the salsa sauce and I really need no more sourish tangy taste added to this poppers. Caution: The molten cheese are scalding hot. Bite into these poppers with care! 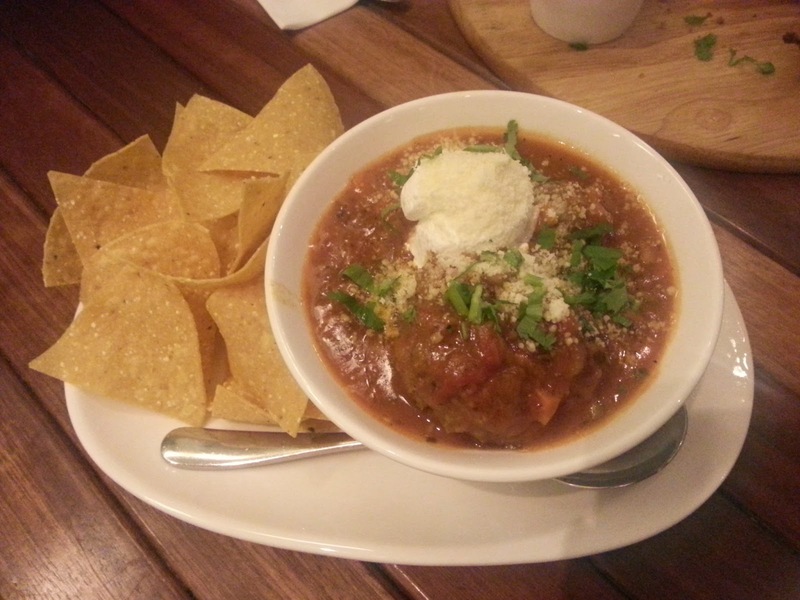 Brasied beef meatballs in spicy chipotle and tomato sauce, served with crispy corn tortilla chips. I can't comment on this, for I do not take beef. It did look delicious, though. A traditional Saffron rice dish, with marinated chicken, salmon and tilapia. One of my favourite food, 'Spanish fried rice'. The rice was cooked till pretty hard, yet drenched in flavourful savoury moistness, and topped up with generous amount of chicken, salmon and tilapia. At just $39 for 2 pax, as compared to $28 for 1 pax, this is a definite steal! 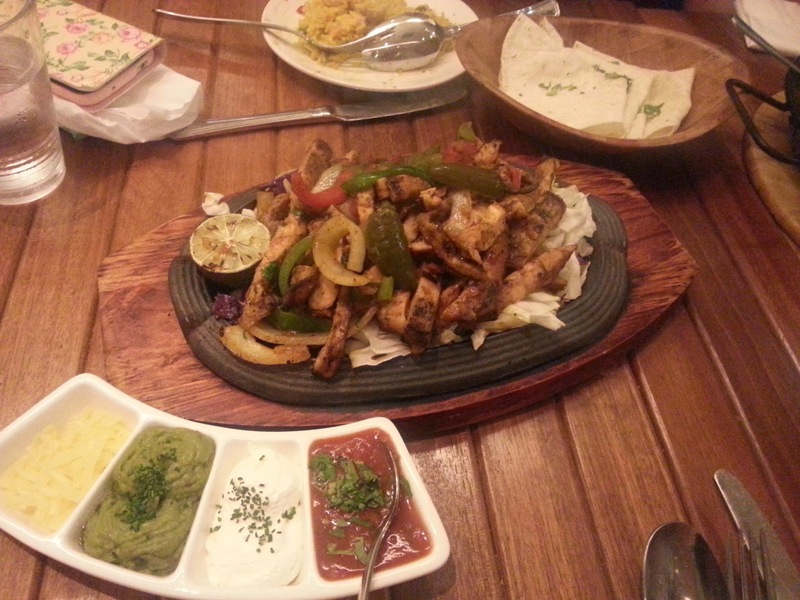 Grilled chicken breast with sauteed onions, capsicums, cabbage and mushroom, served with warm tortillas and an array of sauces. Of course, you don't expect grilled chicken breast to be juicy and tender. But they're still nothing short of being flavourful and tasty. Mushrooms seemed a little sparse as I hardly ate any, but they're obviously (as you can see from the picture) very generous with not just the chicken but also the onions and capsicums. I guess the correct way is to wrap the dish in the tortilla and eat it as a self made wrap with your preferred sauce(s), and so I did. I find that the meat itself is flavourful enough and there's really no need to add on any sauces to further complicate the taste. 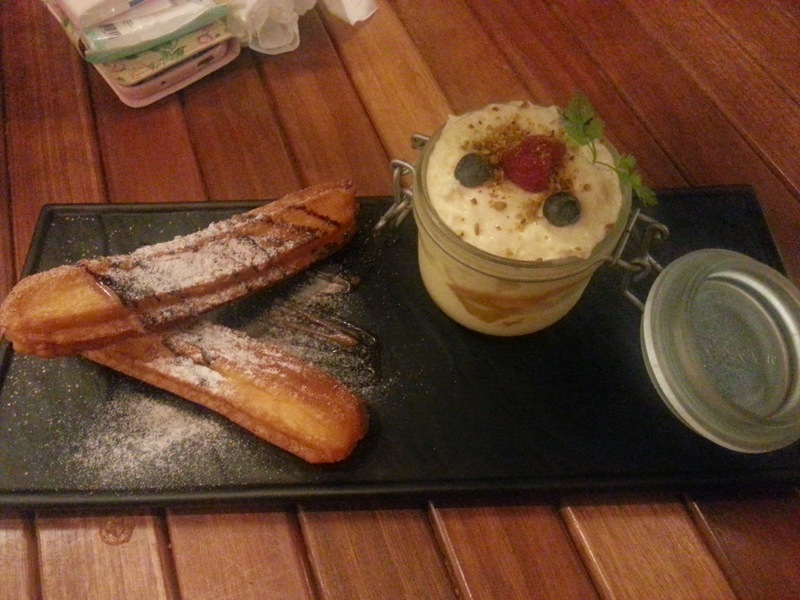 Churros, served with salted caramel bananas, fresh mangoes and coconut infused mascarpone sabayon. The churros are pretty well done, served piping hot right out of the fryer. The outside, dusted in icing sugar and drizzled with yummy chocolate, was crispy and the insides were soft, fluffy and slightly moist. Other than D, who tends to like richer, creamy and more flavourful food, none of us really like the jar of mascarpone sabayon. Would have enjoyed this dessert a lot more if it's served with a pot of rich chocolate dip instead! 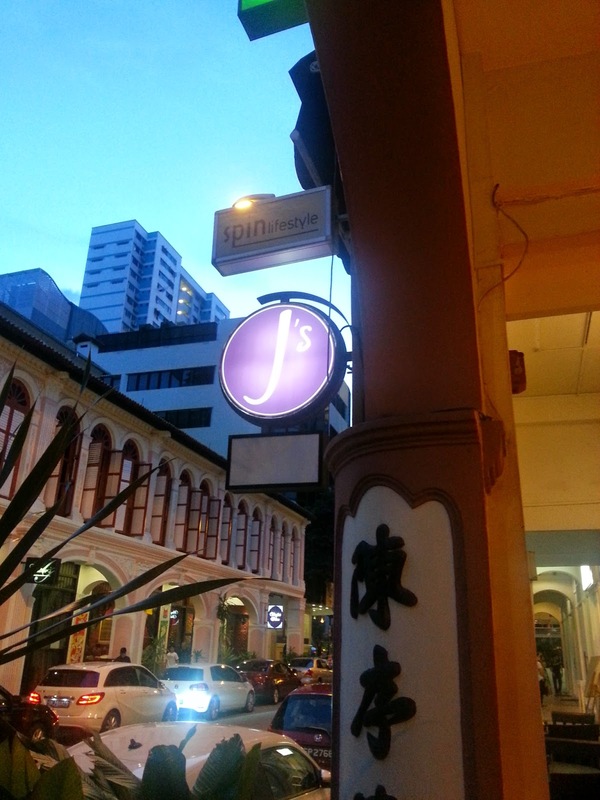 J's Restaurant is located at 7 Purvis Street. Great review! Looks like the food was pretty substantial and tasty! I love the decor, how dramatic it looks! The Paella looked really delicious. It's also one of my favorite food. Oh I miss my mom's cooking. It seems like a Mexican concept restaurant and the food I like most, Paella and coco cola. Love to cook this at home especially the seafood paella. Oh wow. I've been craving for good Mexican food, especially churros! I think I would've enjoyed those chipotle meatballs. These poppers really arise my appetite, and the dessert, the churros with bananas and mangoes look amazingly delicious! That must be so yummy! Loved everything that you had, especially the nicely-presented dessert! Mascarpone is love! That paella and fatijas chicken got me drooling in there. Looks like it is a great place and equally delicious looking food right there. Is this a place where you will return again for a second round? I see that the dishes are all pretty expensive! Will love to try the churros soon! 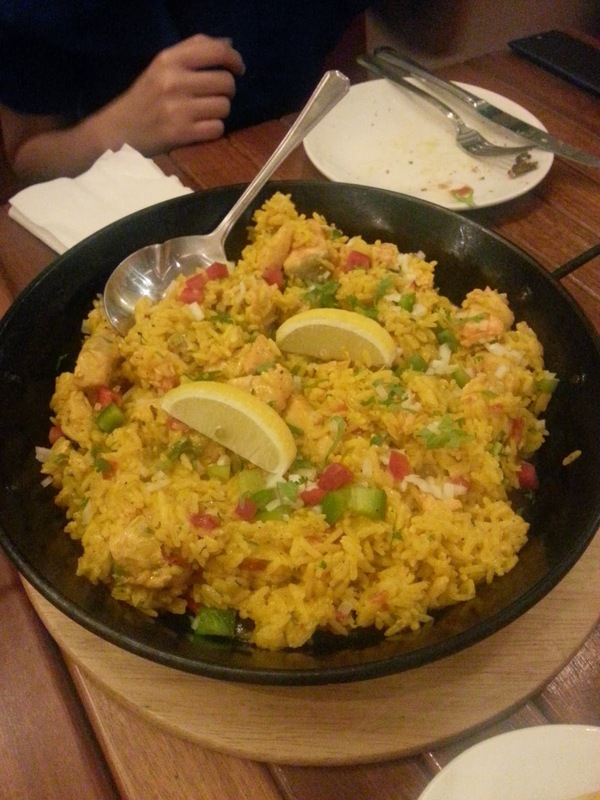 The paella looks so delicious. The ambiance and location is also really relaxing. looks yummy specially the churros! I bet it was worth the money! The presentation looks delish! Sometimes, I hate seeing a food review the first thing in the morning, and when I haven't had my breakfast (just like that old cereal ad), but anyway kidding aside, hmmm, I;ve been craving for paella since time immemorial. Seems convincing for me. Sounds like a delicious place to visit! And the pics are just droolworthy! The food looks superb! I like the restaurant name! 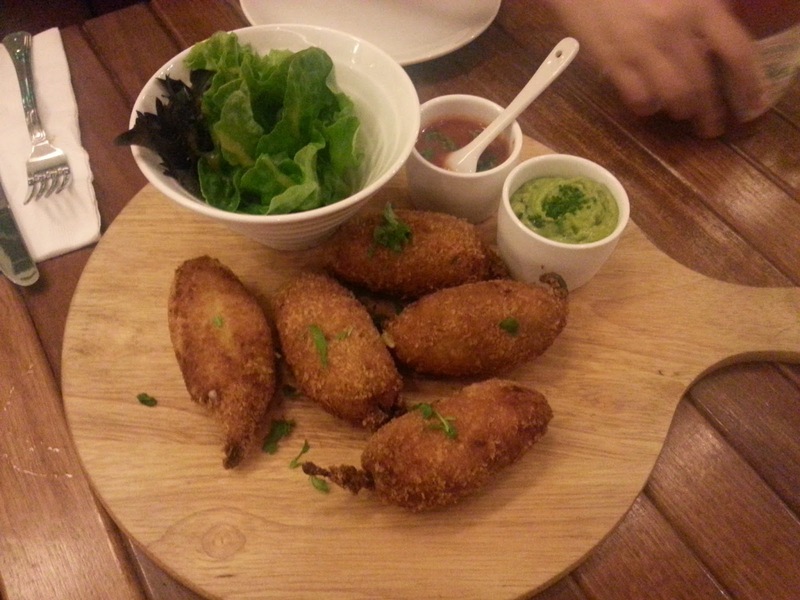 I love jalapeno poppers, too bad you didn't enjoy your experience. I guess the taste differs with the quality of the pepper that you got. Instead of the spicy pepper you got a sour one hence the tangy unusual taste.